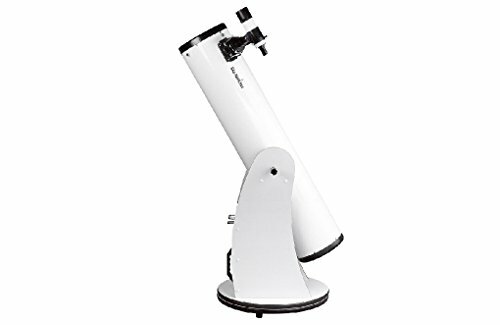 The Sky-Watcher Traditional Dobsonian Telescope 203mm/1200mm (8") has a "paraboloidal" primary mirror to eliminate spherical aberration and a four-arm, secondary- mirror bracket with fine supports (0.5mm thick), to reduce diffraction spikes and light loss. In addition, this model include a 2" focuser with a 1.25" adapter, allowing the use of either eyepiece size. This model also include the new feature-tension control handle.